Nigeria on Tuesday charged the leader of Boko Haram splinter group Ansaru with the abduction and murder of 10 foreigners, in one its highest-profile cases yet against Islamist militants. 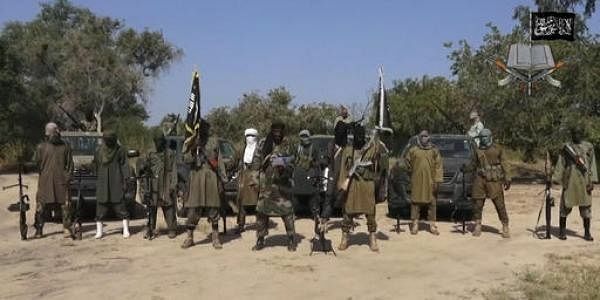 NIGERIA: Nigeria on Tuesday charged the leader of Boko Haram splinter group Ansaru with the abduction and murder of 10 foreigners, in one its highest-profile cases yet against Islamist militants. Khalid al-Barnawi, one of three Nigerians listed by the US government as a "specially designated global terrorist", appeared in court alongside six other defendants and denied the charges. The charges relate to a series of kidnappings and killings of foreign workers between 2011 and 2013, including Italian engineer Franco Lamolinara and his British colleague Chris McManus. Both were killed by their captors in the northern city of Sokoto just after the start of a joint British-Nigerian rescue operation at the compound where they were being held in March 2012. Barnawi is also accused in connection with kidnapping Frenchman Francis Collomp and German national Edgar Raupach. Raupach's abduction was initially claimed by Al-Qaeda in the Islamic Maghreb (AQIM) to which Ansaru has been linked. He was killed during a military raid in Kano, northern Nigeria, in May 2012. The other kidnapping and murder charges relate to seven foreign nationals -- two from Lebanon, two Syrians, an Italian, a Greek and a Briton. They were seized from a construction site in the northern state of Bauchi in 2013. According to the charge sheet, the seven were taken to Sambisa Forest area of northeaster Borno state and held for about 10 days before they were killed and buried in a shallow grave. Nigeria's military announced in April last year that Barnawi -- who is also known as Mohammed Usman -- had been arrested in Lokoja in central Nigeria. He was described as "on top of the list of our wanted terrorists" because of his alleged links to the wider jihadist network in west and north Africa. Barnawi assumed the leadership of Ansaru following the death of the group's founder Abubakar Adam Kambar in a military raid on his hideout in Kano in March 2012. Both Barnawi and Kambar were former close allies of Boko Haram founder Mohammed Yusuf, who was killed in police custody in 2009, which then saw his deputy Abubakar Shekau take over. Under Shekau's leadership, at least 20,000 people have been killed and more than 2.6 million forced from their homes. Ansaru, whose members trained in AQIM camps in the Algerian desert, broke away in protest at Shekau's indiscriminate violence and targeting of civilians. Also known as Jamaatu Ansarul Muslimina Fi Biladissudan ("Vanguard for the Aid of Muslims in Black Africa"), it specialised in high-profile killings and attacks on foreigners. Omar Mahmood, of the Institute for Security Studies in Pretoria, said the charges were significant and made Barnawi "perhaps the highest profile Nigerian jihadist to go on trial" in recent years. He was a "prominent leader" and "represented a more internationally focused and connected wing of the Nigerian jihadist movement", he added. The trial will be closely watched because Nigeria has failed to bring many captured jihadists to trial, possibly because of the sheer numbers involved or lack of evidence. Boko Haram meanwhile published a new video online on Monday evening, depicting a gruesome execution similar to propaganda images from the Islamic State group to which it is affiliated. The video, seen by AFP, shows masked militant fighters accusing three men dressed in knee-length orange kaftans of spying for the Nigerian government. They are questioned in front of an IS flag, after which at least one of them is beheaded with a sabre. Boko Haram has previously released videos of executions, including one of a captured Nigerian Air Force pilot who was decapitated, as well as amputations and beatings of civilians. Yan St-Pierre, from the Modern Security Consulting Group in Berlin, told AFP the video could be an attempt by Shekau to show the group "is still a force to be reckoned with". Nigeria's military has repeatedly said Boko Haram is weakened and divided, particularly since IS last year announced it had appointed Yusuf's son Abu Musab al-Barnawi as leader.